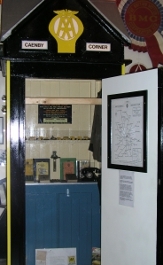 An original AA Roadside Call Box, presented as No 122  Caenby Corner, but was formerly at Gaydon, Warwickshire. 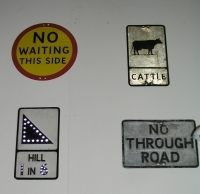 For the story of how we got it, click here. 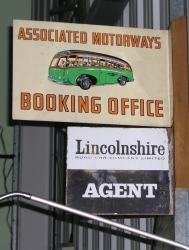 Left - Enamel signs - as displayed outside Associated Motorways / Lincolnshire Road Car booking and parcels agents. An early City of Lincoln green Street Lamp.